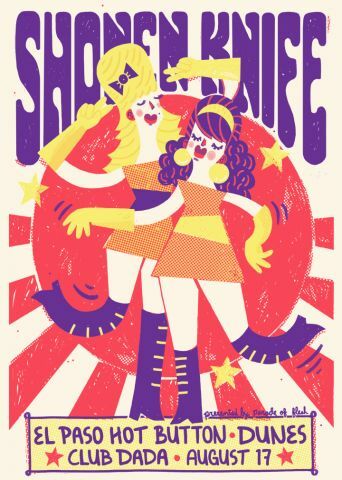 Here’s a very rad poster by Daniel Hughes for our upcoming show with Shonen Knife / El Paso Hot Button / Dunes at Club Dada on August 17th (info below). We can’t wait! This entry was posted on July 18, 2012 at 1:46 pm, filed under News.